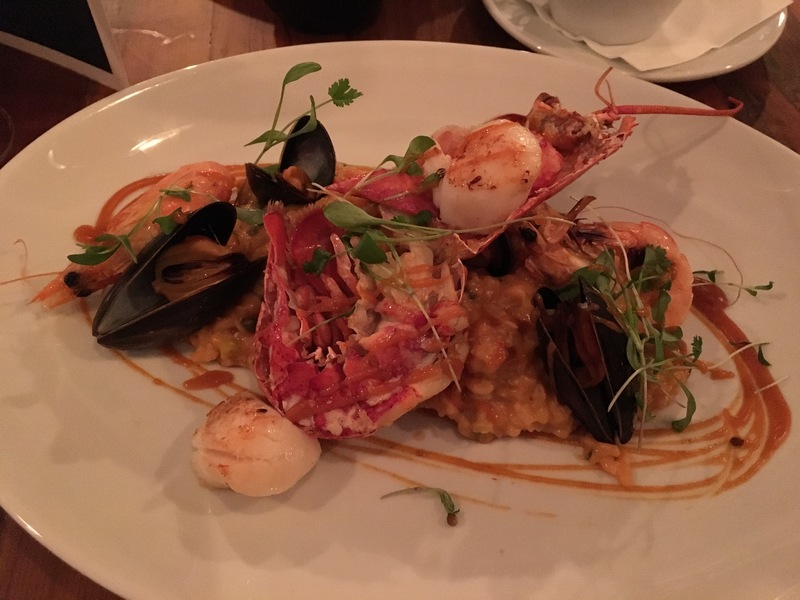 We went to Catch for our anniversary meal the other week and it was so good it’s definitely worth blogging about. Catch is based in West Vale, it claims to be modern day fish & seafood restaurant based on the family values, and it doesn’t disappoint. It has a traditional fish and chip takeaway, but also a lovely restuarant. Such a popular place that we only had a choice of two times for a table booking, 6.45 or 9.15, this was only a couple of days before so unsurprising, plus it was a Friday, and everyone knows Friday’s are fish days! 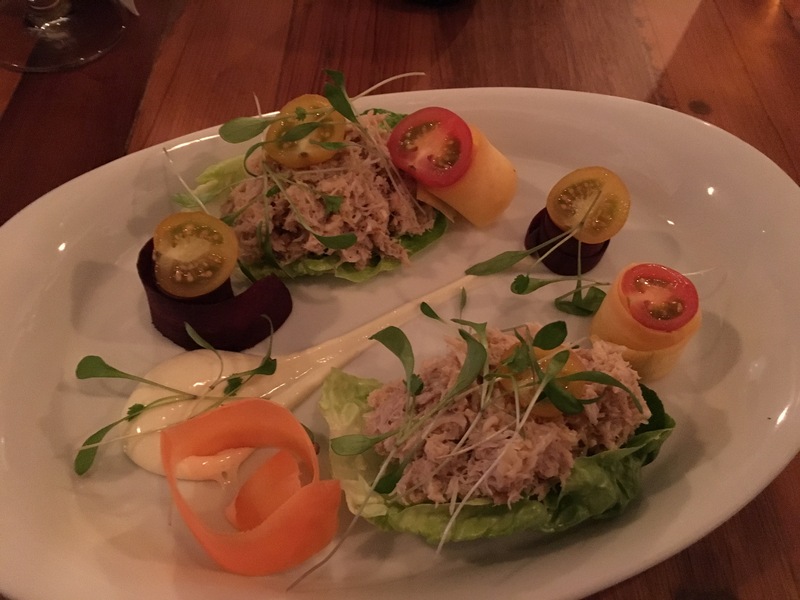 I chose the starter special which was Whitby Dressed Crab – see photo below. Whilst hubby had Peri-peri battered squid rings. Both dishes were good, perfect portion size and the squid was cooked to perfection. For main course I went for the Lobster and Shellfish Risotto, and hubby went for Simply Grilled Lobster with Chippy Chips. Photo below of the risotto. Again both dishes were perfect. Prices were reasonable. We compared the lobster dish to Burger & Lobster’s and value for money and quality at Catch was superior by far. The Chippy chips are amazing! Service was friendly and prompt. Takeaway looked good too – queue was out the door!